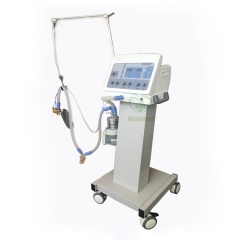 Real time pressure-time, flow-time loop graphics and high precision ETCO2,O2 concentration detection function included. 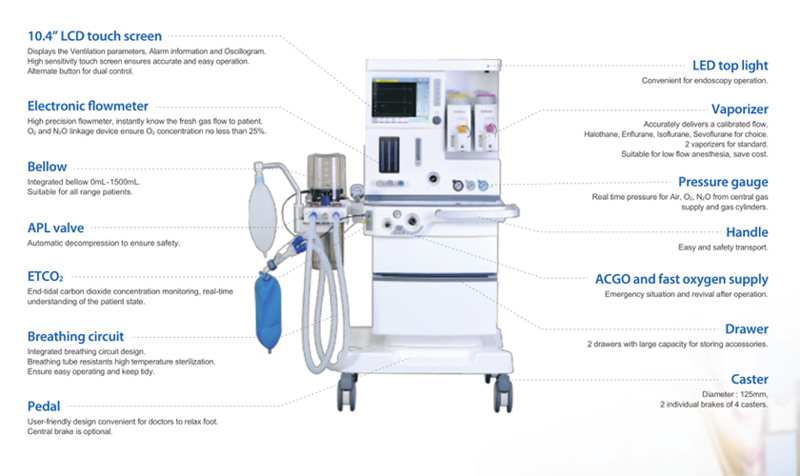 The Anesthesia machine makes a good performance in Intensive Care Units (ICU), Operation room, Anesthesiology Department and other departments. 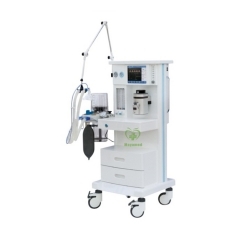 From high to low acuity, simple to complex cases, pediatric to geriatric patients, Perlong Medical Anesthesia Systems offer you the choices you need in ventilation, monitoring and technique. 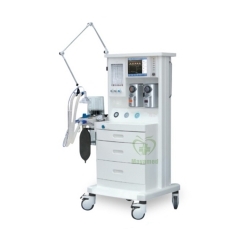 what’s more, our expertise in anesthesia delivery and ventilation is based on rich 23-year history of developing anesthesia solutions that meet your needs. Good performance based on High Security, High Accuracy, High Stability and accurate monitoring. *Simplicity: easy to use, easy to move with 4 wheels. *Patient Centered Ventilation: Precision in an anesthesia ventilator, from conventional ventilation to advanced modes, including 5 modes: IPPV; A/C; PCV; SIMV; SIGH. 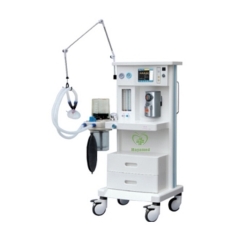 *Designed and manufactured by Perlong Medical with over 23 years experience in this area. *Flexible configurations to suit your needs. *International standard and advanced technology suitable for wide range use. 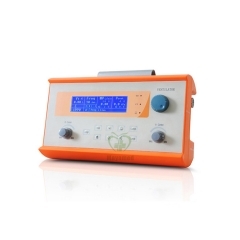 *Compact interface and touch screen give you better operating experience. *Over 2,000 units installed in the world. *10.4” TFT LCD touch screen displays the Ventilation parameters, Alarming information and Waveform. *Electronic flow meter, instantly know the fresh gas flow to your patient. *Integration breathing circuit design, ensure easy operating and keep tidy. 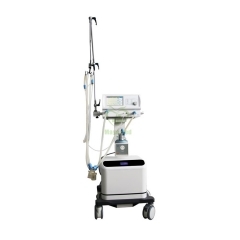 *Multiple working modes such as volume control and pressure limit, adapt to wide range patient. 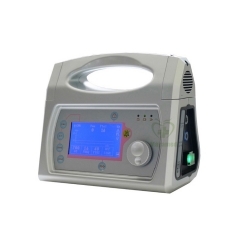 *Vaporizer with temperature, flow compensation and self-lock function, keep safety anytime. 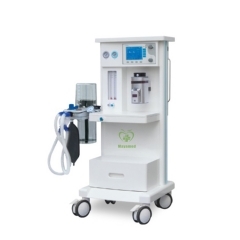 *Real time pressure-time, flow-time loop graphics and high precision ETCO2,O2 concentration detection function included. 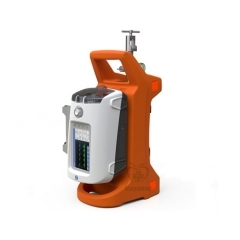 *Vital sign monitor and Anesthetic gas monitor are optional. *Three level alarming system, visual and sound alarm information. *Intelligent dual system controls ensure safe use in clinics. *With lots of alarming, reminding and protection functions. *Advanced power management control technology. *With built-in backup power source, when outside power source goes off, back-up power source starts to work.